With more than 20 years of securities litigation experience, Christine M. Fox prosecutes complex securities fraud cases on behalf of institutional investors. Christine is actively involved in litigating matters against Molina Healthcare, Qurate Retail, and Rent-A-Center. Christine has played a pivotal role in securing favorable settlements for investors in class actions against Barrick Gold Corporation, one of the largest gold mining companies in the world ($140 million recovery); CVS Caremark, the nation’s largest pharmacy retail chain ($48 million recovery); Nu Skin Enterprises, a multilevel marketing company ($47 million recovery); and Genworth Financial, Inc. ($20 million recovery). Prior to joining the Firm, Christine worked at a national litigation firm focusing on securities, antitrust, and consumer litigation in state and federal courts. She played a significant role in securing class action recoveries in a number of high-profile securities cases, including In re Merrill Lynch Co., Inc. Research Reports Securities Litigation ($475 million recovery); In re Informix Corp. Securities Litigation ($136.5 million recovery); In re Alcatel Alsthom Securities Litigation ($75 million recovery); and In re Ambac Financial Group, Inc. Securities Litigation ($33 million recovery). Christine received her J.D. from the University of Michigan Law School and her B.A. from Cornell University. 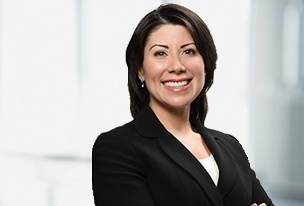 She is a member of the American Bar Association, the New York State Bar Association, and the Puerto Rican Bar Association.Christine is actively involved in Labaton’s pro bono immigration program and recently reunited a father and child separated at the border. She is currently working on their asylum application. Christine is conversant in Spanish. Ollila v Babcock & Wilcox Enterprises Inc.
Bristol County Retirement System v. Qurate Retail, Inc.